As he understood the world of furniture and design the epochal changes of the media that will form one of the carriers of the future? Surely the ' access - excess of information on the web and the spread of social networks have stimulated various modes and defined new languages, but also highlighted the need for renewed and not obvious competence and values ? ?from the user-consumers. Born in Prüm, Germany, in 1962. He graduated in Architecture at the Munich Technical University. In 1995 he took part in various trade fairs in Munich and New York with a patented product: the folding armchair Attila which became part of the Neue Sammlung in Munich and the Vitra Design Museum in Weil am Rhein. The k20 maintains the continuity of the Norbert Wangen collection. 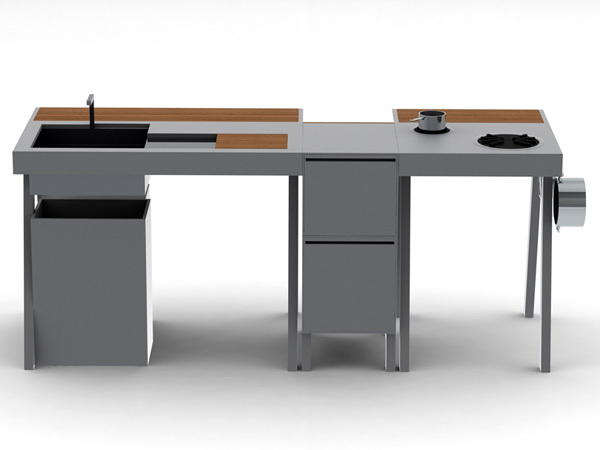 It retains the k14 kitchen’s modular units whilst introducing new materials for the worktops and the doors. The result is a product that has a more rigorous aesthetic: the finish on the doors wraps around the side panels, creating a design that appears more compact. The back-splash is equipped with shelf and integrated light. A fully concealed electronic down-draft hood is positioned in the back. It’s equipped with containers integrated in the back-splash thickness, with doors that can be opened and sockets for small electrical appliances. It 'a long history that craft wooden Tuscan. A documented history of many small important objects beginning from the handles of agricultural tools, up to the basic furniture such as table, chairs, a cupboard and large cupboard. Gradually, upon the lessons that have accumulated over the centuries, crafts and evolves beyond simple rustic furniture, allocated to a popular clientele, space is also an artisan-style furniture, allocated to customers at a higher level. In Tuscany and almost everywhere it consolidates the message that the craft is and wants to remain tied to tradition, the environment, the community, but at the same time does not neglect the continuous search for materials and technological solutions. We can therefore say that these are the secret weapons of those who have been able to improve their job of adapting to the changes that have occurred under the pressure of science and technology. Tradition meets technology in order to offer a high quality product without sacrificing the warmth of a sophisticated and welcoming. 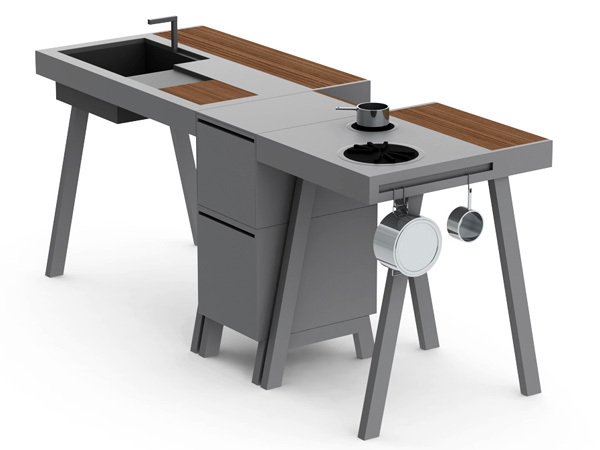 Compositional freedom, a wide range of accessories, design balanced, wise color combinations together with the use of advanced materials, permit the construction of kitchens innovative, young, creative and harmonious without sacrificing elegance. Vivacity and freshness is perfectly combine the aesthetic and characterize our modern line. Creative and trendy, not to mention functionality. CITY is dedicated to those who prefer a rigorous and cutting-edge decor, marking the spaces with traces of innate good taste. City interprets the new perspective of the kitchen that expands into the living room where space becomes a bedsit with the same taste, but with different colors. SYNTESI is a design aesthetic extremely essential, characterized by large dimensions and large volumes, addressed to an audience looking for a kitchen of minimalist-contemporary style but at the same time rich in content. The sober and elegant handle groove is formed directly in the door thickness of 22 mm. Dedicated to those who love the basic shapes, clean design, rigorous and especially for those who love feel good in the kitchen. TECHNICA is the kitchen that expresses freedom of expression. A contemporary design that through careful research aims at maximum aesthetic and functional harmony between modernity and practicality. Dedicated to those who love the trendy decor. Our classic kitchens express the true strength of the solid wood of chestnut. Sleek lines, warm colors and bright in a variety of finishes, the presence of so many useful accessories; kitchens which is at a rich history, made up of many aesthetic and functional values. Harmony of lines, creativity, color, branding elements with new design. Thus was born DAISY , a traditional country flavor. Margherita is available in four colors. The Walnut color is well suited to a traditional public taste, linked to the old times; Salmon color suitable for those who prefer the warmth of wood without sacrificing brightness; the colors Green and White for those who prefer a decor taste purely country. 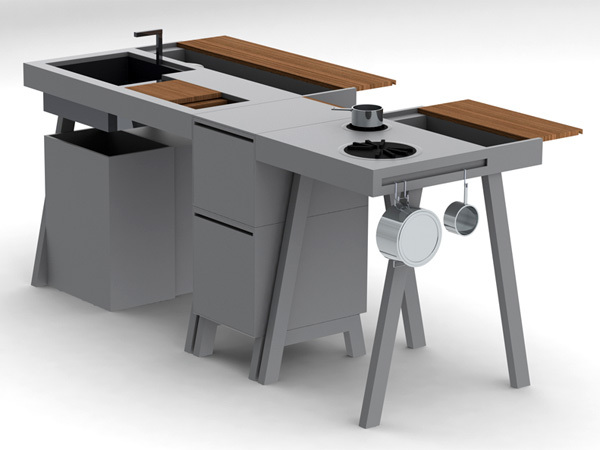 N1 Kitchen System is intended for the outdoors but can be fitted into a compact home. The whole unit just shuts-shop and fits into a storage container for easy transportation. 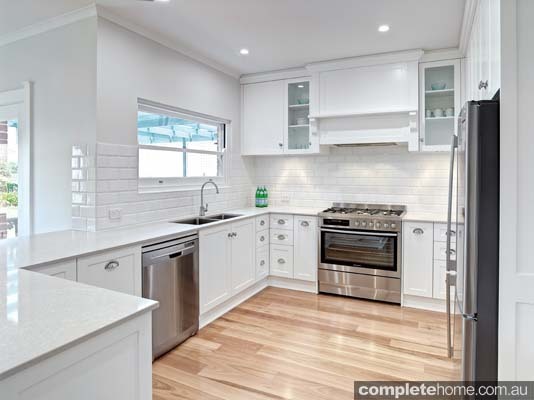 The kitchen features the three basic elements – the sink and prep area, the storage unit and the stove system; keeping it really simple and bare. 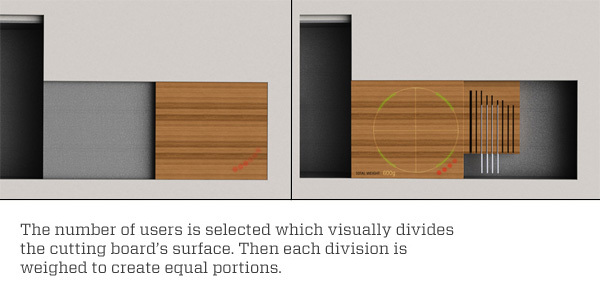 Designed within the kitchen’s prep area is a self-proportioning cutting board that visually divides the board’s surface, up to 6 times, and weighs each division for equal portions. 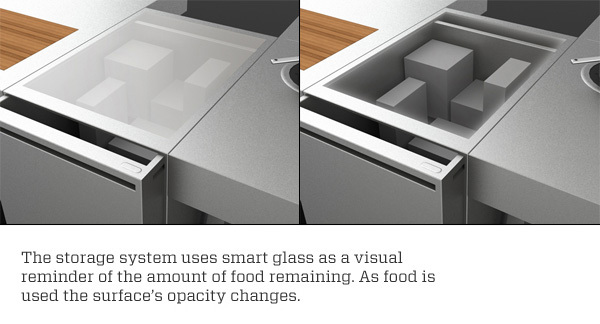 Inspired by x-rays, the storage system uses smart glass to visually reveal food quantities. As food is consumed the surface’s opacity changes. The stove system gets rid of knobs that may break in the outdoors and uses the turning of the stove’s pot to change the temperature. As the pot turns and aligns with the different stove’s burners, it changes the temperature from boiling water to low, medium and high. 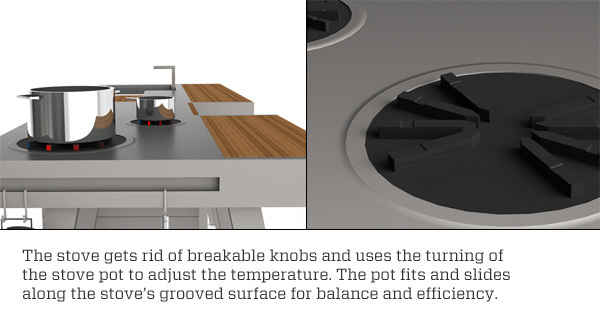 The stove’s burner has a groove, which the pot turns in to avoid being knocked around in the outdoors and to maintain efficiency. 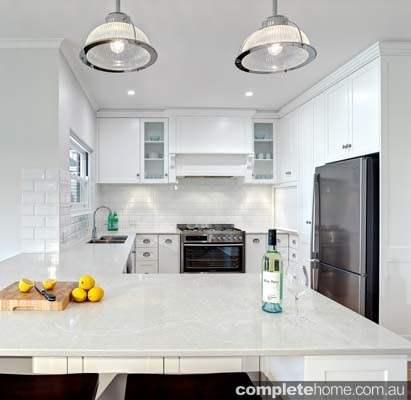 Brilliant SA have given this home a beautiful makeover, converting a drab kitchen into a modern Hampton-style makeover with chic country appeal. “These homeowners had been living with the dark timber of their late-1970s kitchen for far too long. They were ready for something completely different so we gave the kitchen a modern Hampton-style makeover with chic country appeal. 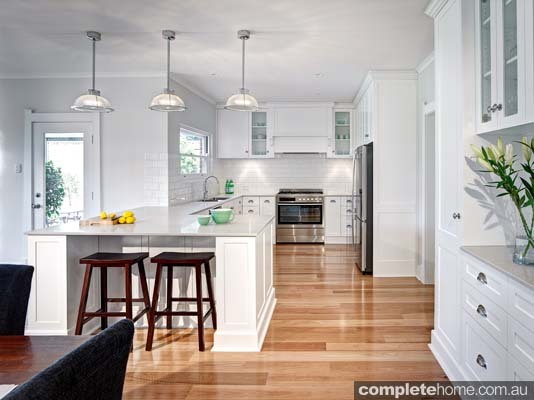 The design enhances the California bungalow home and is a huge improvement on the old extension. 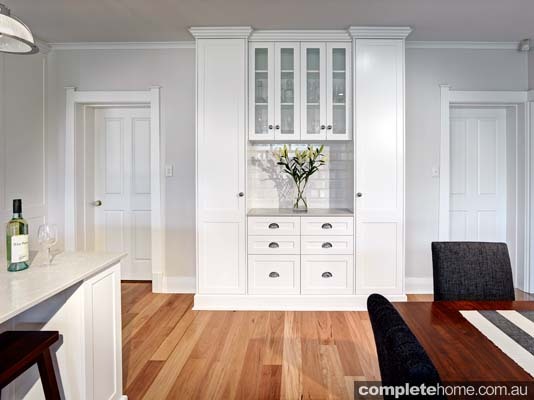 Our refurbishment includes a new buffet unit, new doors and windows and a new blackbutt timber floor. The sink is in the same location but we reconfigured the layout to make the Westinghouse cooker, with overhead display cupboards and mantle, the centrepiece of the kitchen. ACROPOLIS - ACROPOLIS. Pininfarina Design. Snaidero and Pininfarina continue their partnership and rise to a new challenge with the Acropolis. 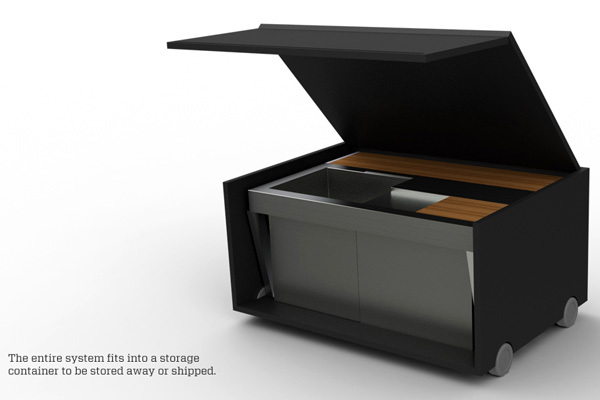 Surpassing the status quo, it spearheads the future in kitchen design. 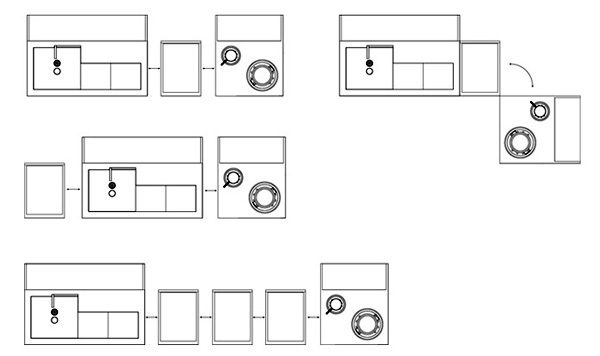 Circularity as a symbol of continuity is the starting point.. The design points strongly towards the future and the evolution of new consumer lifestyles. The choice of materials, such as steel and aluminium, and the incorporation of suspended elements, made possible by special manufacturing processes used in honeycomb panels, explains why Snaidero always stays ahead of the competition. The concept interprets recognizable dynamic forms and elements of cult Buick models of the 1950s, such as Super Estate, Woody Wagon, Super Eight, Roadmaster Convertible, Super Deluxe Convertible, Roadmaster, Limited Riviera.